Dr. Arthur Krause were formed in Gothenburg, Sweden, in 2001. Two years of gigging and song-writing, combined with a long musical career in other projects, finally paid off for this hard-working and talented band when the debut album "Before and After" was released. It consists of 10 songs with strong influences from the glorious days of the 80s with both undertones and overtones of goth. The second album "When Love is Dead" was released in 2007 and superseeded the sales of the debut by far. It also received a number of very good reviews in the underground scene but in spite of this, or maybe because of it (? ), they have not received the attention they deserve from national or international media. 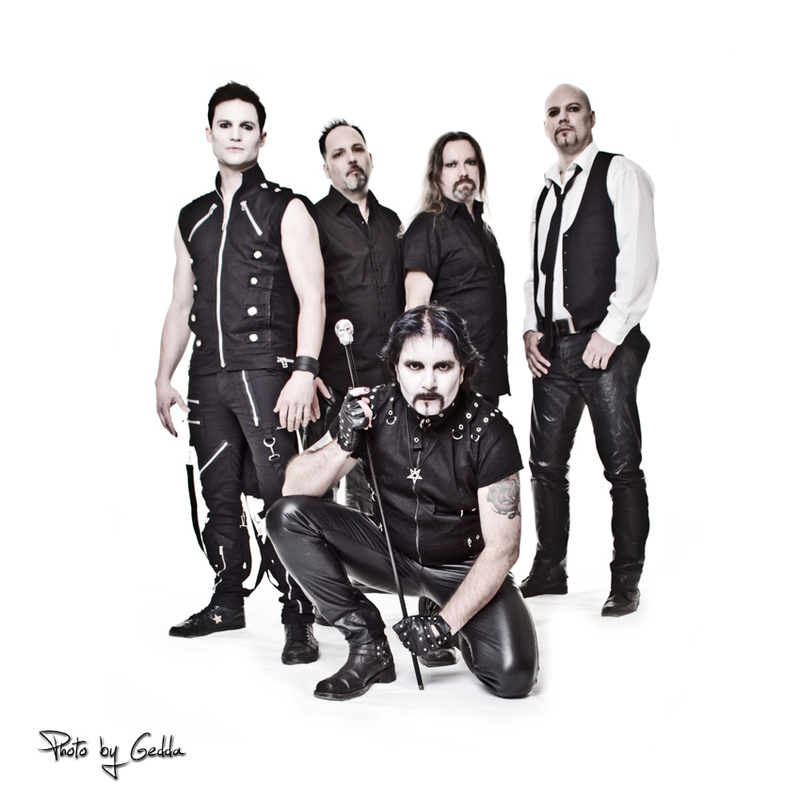 2010 saw the release of their third album, "Solutions", establishing them as one of the premier goth acts around. On a dark and rainy November night in 1996, Kindred Spirits saw the light for the first time. 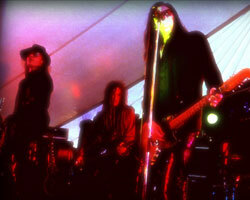 Since then the intention has been to have fun and give the world excellent gothic music. 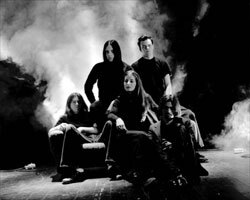 So far they have succeeded, having released one album, participated on numerous compilations and headlined the Scottish gothic festival Dark City in Edinburg, 2004. Revolution By Night, descending from former Restoration II, ennoble the heritage of great bands like Fields of the Nephilim and Nine Inch Nails, add their own musical spices and up-date the sound to the 90's. 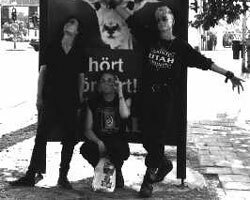 Released their debut album, "Breathe", on the label in 1996 and have since gone on to release further recordings, slightly more oriented towards electronic scene, on the German Equinoxe label. Vocalist Steve Weeks is also a well-known DJ, from Slimelight and numerous alternative European dance floors. Children on Stun hail from Hastings, England, and were one of the finest and most exciting alternative bands in Europe in the 90's. They scored grand-slam (best band, best single and best track) in 1995 on the polls of Alt Gothic on the internet (the biggest gothic site back then) - and the only reason they didn't win the best album category was that they didn't release one in 1995!!! Sadly they decided to call it a day in 1998 and split up. 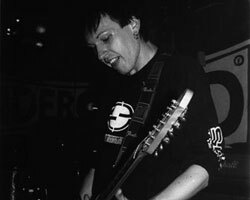 Later vocalist Neil Ash worked with the band Stripper and guitarist Simon Manning in Spares. Having recently reformed Children on Stun, they did a highly praised gig in London on the 15th May 2015 and were currently writing material for a new album. This was, sadly, no to be as Simon passed away in July 2015. Dark Side Cowboys originate from Hammerdal and Umea, in the very north of Sweden. 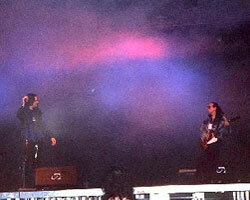 They made their CD-debut in 1995 with the EP "Pure Hearts", on the edge of new wave with their dark atmospheric rock. The full-length album "The Apocryphal" followed with layers of sound, arranged as to give the listeners the feeling of being part of a movie. 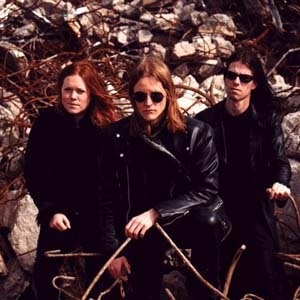 In 1997 they left the label for Nangijala, where they released their second album, "Disclosure" and in 1998 "Most". The Mist of Avalon formed in Uppsala, just north of Sweden's capital Stockholm, in 1994. Evolving strongly since the early days of punk rock, the band has successfully cast off any genre bonds. The Mist of Avalon are walking in the wonderland between metal and the darker parts of the underground scene, combining melancholic melodies based on keyboard soundcapes with eerie guitar riffs. It's not too far off from Paradise Lost or Fields of the Nephilim, with the vocals slightly more pitched. Singer Aram Yildizâ€™s flexible voice that is capable of mastering both dark, screaming and very melodious parts, is impressive. Dawn of Oblivion are goth, metal and aggression and they are bloody great! They master both slow, eerie songs as well as fast rockier ones. 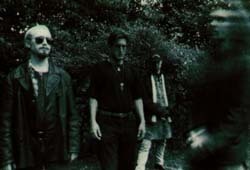 Their albums and have received much praise in Sweden, where the press often compare them with Paradise Lost or Type O Negative. 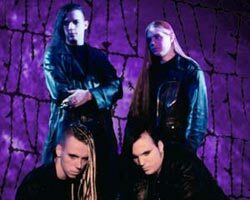 Hit the scene with their debut album "A Fervent Prayer" in 1994 and has since evolved to include both an industrial and metal dimension to their music. On M&A Music Art they have so far released the albums "Yorick", "Mephisto's Calling" and "The Final Chapter" as well as the EP's "Haunted" and "Ikaros". 2012 saw the re-release of their debut album "A Fervent Prayer", originally released in 1994 on Strontium and in 2015 their fifth album, "Phoenix Rising" was released. The album â€œPhoenix Risingâ€ is mastered by James Murphy, former guitarist with Death, Obituary, and Testament, and founding member of death metallers Disincarnate, in the SafeHouse Production studio in Florida, US. Guitarist Stefan Rosqvist also has a solo project on Liquid Note Records. Formed out of the ashes of Children on Stun, a band well-known for its ability to knock senseless, bewilder and shock and truly one of the finest underground acts of the 90's, guitarist and songwriter Simon Manning made it back to the music scene with his new project Spares. He gathered a few familiar faces around him - Neil Ash, Nick Blewitt, Alison Wheatley to name a few - and recorded something quite spectacular for the debut album "Tired and Bizarre". This album was accompanied by the EP "The End of the Line" - a dance floor crasher. Two more Spares album followed, "Download" and a year later "Suffering Fools Gladly" as well as a successfull Whitby Gothic Week-end head-lining. Starting out originally as a solo project it quickly evolved to a proper band and much more than a showcase for Simonâ€™s talent and his will to discover and conquer new territories of the alternative music scene. The debut album â€œTired & Bizarreâ€ broke boundaries in more than one way and showed a variety in his song writing that we hadnâ€™t seen before. Although Spares never reached the heights or fame of COS they released three albums and one EP, each unique in its own way and very much the result of Simonâ€™s creativity and zest for music and life. In July 2015 Simon M passed away. Never Mind are from the deep forests of Hassleholm in Sweden and made their debut with a gorgeously depressing cover of "New Dawn Fades" on a 7" vinyl in the late '80's. Six years later the album "Absolutely Sane" was released. Andrew Eldritch was due to produce it but due to work commitments trhis was not to be, which was a shame, as the album would probably have recieved a lot more attention and recognition if it were. The way things turned out it never reached the heights it should have and the release was followed by a long break. They never quite stopped and have written and recorded new material in recent years. 2014 saw them do the "Silver tour" to celebrate 25 years as a band, still holding the flag high. The band has developed a unique sound over the years and their followers have stayed faithful. In 2016 the band released their second album "Do You Remember Me At All?" and one year after the EP "Palace of Sin", a prologue to the whole sense of "Do You Remember Me At All?". It tells a short but intense story of the laws of attraction and the power that can exist between two people. If Never Mind were a movie, they would be a drama. 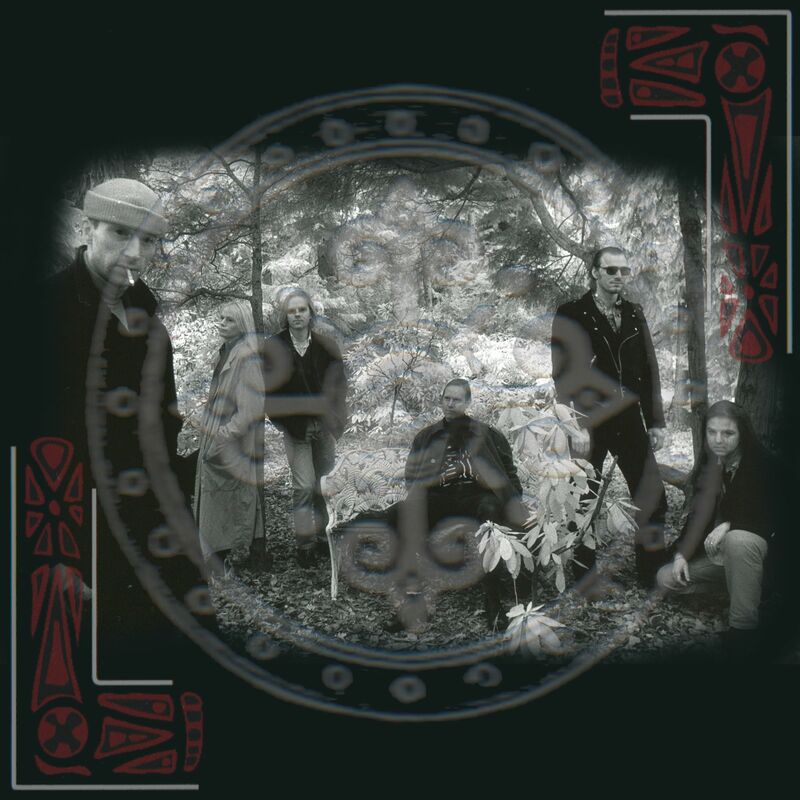 Les Fleurs Du Mal is a black and white rock band from the hardening social reality of Stockholm, Sweden. Founded in 2009 as a platform for musical, emotional and political expression as concieved and performed by Axel and August Grim. Two EP's have been released so far ("I" and "Knife in My Back") and an album, "Concrete Ravings".